Moving is a tedious task. And yet it requires special knowledge and skills to do it correctly. All of your belongings, your entire home, will be packed and shipped. If you don’t pack it and transport it correctly many items can arrive damaged. That’s why it’s best to look for movers Uptown Chicago to help you out. No matter what you are moving. Be it an apartment, a house, office or even your piano. Wolley Movers have the knowledge and expertise to handle almost every relocation. So, when you need to move, we will be here to help you. We’ve been in this business for over 25 years. You can count on us to be fast, reliable and trustworthy. When it comes to handling your valuables, you only want the best movers for the job. Someone who knows how to handle fragile items. Movers who can work fast but still be reliable. Moving is a very delicate process. Strangers will be going through your home and loading all of your valuables onto a truck. So, it’s very important is to hire trustworthy and reliable movers Uptown Chicago. And if you want to choose the best, there are none better than Wolley Movers. With over 25 years of experience in moving, you can be sure that we know what we are doing. You won’t’ have to worry about damaged items or schedule problems. Our team is professional and experienced. And one of our greatest strength is the positive relationship we have with our customers. We, at Wolley Movers, are committed to providing the best service at a fair price. There are no hidden costs. And no matter how big or small your move is, we are here to help. It doesn’t matter if it’s just one room or an entire house. Our team of professionals will be there to assist you. Once you call us we will provide you with a free estimate. You will then have a baseline for our pricing. After that, our team of movers Uptown Chicago will come to your location and give you more accurate pricing. As well as any other details you might need. And in a very short time, you will have the exact price of your relocation. Moving an entire business can be hard, stressful and can cause a lot of lost profit. By with the right kind of help, your commercial relocation can be easy and fast. So, you will just need professionals who know what they are doing. And movers Uptown Chicago who are willing to go to all lengths for a customer. If you decide to pack for the move on your own, you will need quality moving supplies. Wolley Movers offers moving supplies at fair prices. And you won’t have to worry about their quality. We are a moving company and we know what it takes to protect even the most fragile items. 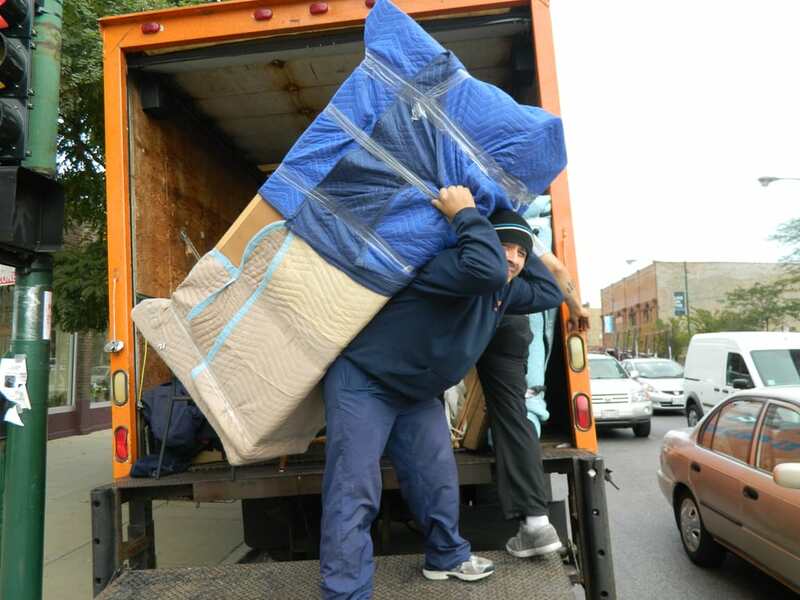 Wolley Movers Uptown Chicago offers a wide range of services for your relocation. No matter if you are moving just a few items or an entire apartment. And no matter if you are moving your home or an office. We have a lot of experience in moving and can handle even the toughest moves. There comes a time in everyone’s life when you have to move. It takes a lot of time, money and energy to properly relocate an entire home. That’s why people look for quality movers Uptown Chicago. Wolley Movers is here to help you relocate any type of apartment or house. Our team of professionals is skilled and experienced. So, no matter what you are moving, we will be able to handle it. After you get your moving estimate our team of professionals will come to your home for the move. We will take all the precautions necessary and treat your items as if they were our own. You can rest assured that every single item will arrive at your new location undamaged. Packing is a big hassle and takes up a lot of your time. You need to properly protect your valuables so they don’t get damaged. Therefore, you will need to look for moving supplies, take them home, and then spend hours carefully packing everything. If you don’t have the time or energy to pack everything yourself, we are here for that too. We know how to properly pack your belongings so they are very well protected. You won’t have to worry about packing materials or properly boxing everything. We will handle all of that for you. We can help you pack in no time! Pianos look great both as musical instruments as well as showpieces. They are gracious and they nicely fill big empty spaces. But for all their beauty they have one flaw – they are extremely hard to move. They are heavy and yet very fragile. So, hiring piano movers is the best thing you can do to protect your piano during a move. Wolley Movers have a lot of experience with moving pianos. Being in the business for over 25 years we have seen it all. From small upright pianos to big and bulky grand pianos. And we have the skills needed to transport them safely. Moving an entire office or a business requires great levels of precision. You don’t want to rush things to keep everything organized. While at the same time you want everything done as quickly as possible. Wolley Movers can relocate your business so that you have as little downtime as possible. No matter how big or small the office is, our professional movers can handle it. “Our business is moving your business.” is our motto. And we have a lot of experience in doing it. That’s why you can trust us to safely yet quickly relocate your business to its new location. In need of a local movers Uptown Chicago? Our movers Uptown Chicago are professionals in their line of work. Close to home neighborhood can be found in the Westport Commons Shopping Center. Among the stores there, are children’s wear, shoes, and of course lady’s wear, but one store, in particular, specializes in fashionable trendy lady’s sportswear. After all one must be in fashion to enjoy Hayes Park. When the weather is cooler, many residents can be found in their local bowling alley followed by a visit to the local pub to toss down a few. As a local relocation company – Wolley Movers is the company you can trust. From local to long distance relocation, to packing and unpacking your belongings, we are here to help you with your moving needs. We have a team of highly experienced packers that will pack and ensure that every small or big items are pack properly and stay at the right place. Relocation companies are used to just about every kind of doing the job from large choices of outfits to outsized drum places all for performers. Look closely at those moves you may recognize one of our moving company the Wolley Movers – the most trusted relocation company for your moving needs! Call our movers Uptown Chicago today or sign up for a free estimate!